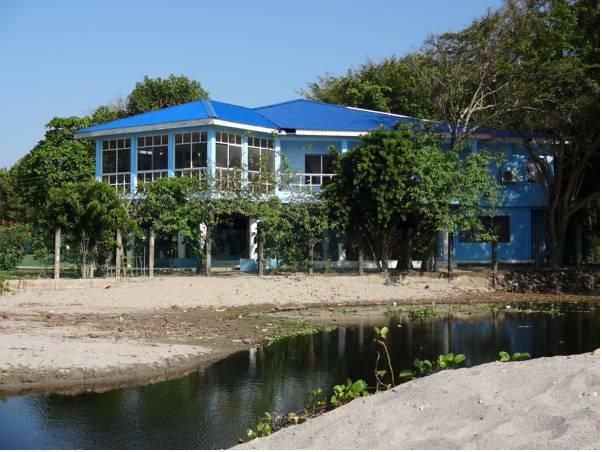 ﻿ Best Price on Ensuenos Del Mar in La Ceiba + Reviews! Located right on the beach, Ensuenos Del Mar offers an outdoor pool, free breakfast and air-conditioned rooms and suites with free Wi-Fi. La Ceiba town is just a 5-minute drive away. Rooms and suites at Ensuenos Del Mar feature bright, functional décor and ceiling fans. Rooms have access to shared bathrooms, while suites have a private bathroom and views of the lagoon. The on-site restaurant serves a range of Italian, American and local dishes, with specialities including stuffed hamburgers and lasagna. The spacious bar includes a seating area and 4 hammocks. The B&B can help guests arrange excursions in the local area. Free secure parking is available on site, and buses to La Ceiba stop right outside the property throughout the day. Pico Bonito National Park is a 15-minute drive away, while Cuero y Salado National Park is around a 25-minute drive away. La Ceiba International Airport is just 5 km away.